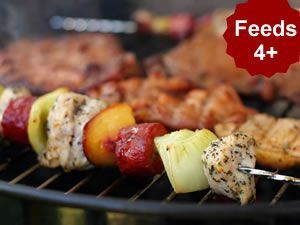 Perfect for the summer barbeque, this pack contains all the basics for a tasty feast. Enjoy quality products that have been carefully cut by our skilled butchers, so that you get the best flavour out of each item. There's more than enough for 4 people, and all at a fantastic price! No related products for the BBQ Pack 4+. No key features selected for the BBQ Pack 4+. No quantity discount for the BBQ Pack 4+. Be the first to submit a review for the BBQ Pack 4+.